The Samsung Galaxy ACE S5830 smartphone users can now update their device with Koogly’s Mokee Custom ROM firmware. Over this article we will be checking out on how to install this update along with pre-requisites. Please make a note that, this is not an official firmware released by Samsung and is a custom ROM firmware. 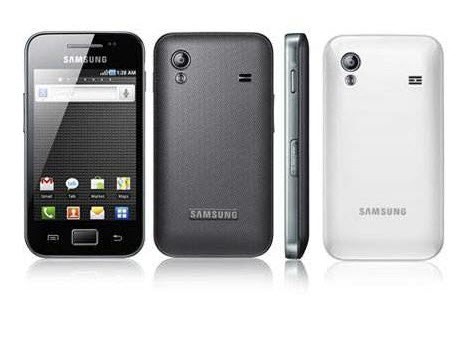 Unfortunately, Samsung won’t be coming up with any sorts of updates like the ICS or jellybean 4.1.1 release. This firmware is based on the latest EXT4 file system which is almost 2X faster than the earlier one and also it comes with a fabulous overall interface. As this is a custom ROM firmware you need to root your Samsung Galaxy ACE S5830 smartphone. To check on whether your device is rooted or not you need to download the “Root Checker” app from Google Play Store. If your device is not rooted then do that immediately so as you can update this custom ROM firmware. WARNING : Don’t apply this update to 5830i model if you do so it will brick your device. You can check your model details from the path “Settings > About Phone >”. Lightweight Keyboard (Multiling Keyboard) – Don’t Like it /Have Issues With It, Head to the Third Post! There is a risk of your device getting wiped of after apply this update. So, it is intelligent to take backup of all your precious data available in your phone. Just in case, if you lost your data due to any reasons you can easily recover them. Enable the USB Debugging in your Samsung Galaxy ACE S5830 by following the path “Settings > Applications > Development > USB debugging”. Make sure that you have left the battery level of atleast 40% unless there is a risk of your device getting switched off during the middle of firmware update. First download the Koogly’s Mokee Final Custom ROM firmware package from here to your computer. Once placed, connect your device to the computer with the help of USB cable and place the zip file in your device. Make sure that you are not placing the zip files deep into the sub folders. After that disconnect your phone from the computer and start to download the “Rom Manager” app from the Google PLAY Store and install the same. Once installed, open the app and select the option of “FLASH Clock Work mod Recovery” so that the custom recovery image is flashed. After that again select the option “Reboot in Recovery Mode” for entering the device in the recovery mode. To enter the Galaxy ACE S5830 device into the recovery mode, press and hold the menu button and then power ON the device. If the device turns ON in the normal mode then you need to try again to enter into the recovery mode. In recovery mode, select “install zip from SD card” > “choose zip from SD card” and select the Koogly’s Mokee Final Custom ROM Firmware Package which you have placed in your device. Once the zip file is selected, it will take around 5 minutes for applying the update. NOTE : Suppose, your device does not power up or say it gets into the boot loop mode, then you need to reinsert the battery and then re try the process of firmware update by following the above mentioned steps. Congratulations! you have now successfully updated the latest Koogly’s Mokee Final Custom ROM Firmware in your Samsung Galaxy ACE S5830.